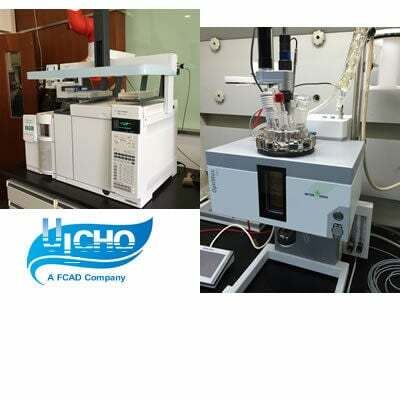 As a FCAD company, Watson International Ltd focuses on sales and trading of fine chemicals globally developed by R&D companies of FCAD group. With our team's commitment to professionalism and quality, we have built a good reputation and served many respected customers around the world including Merck, Pfizer, AstraZeneca, P&G, Sigma-Aldrich, TCI, Solvias AG, Siemens, GE, Sony, Firmenich, European Directorate for the Quality of Medicines, University of Geneva, Cornell University, National University of Singapore..
We are committed to better fine chemicals. Watson International Ltd' has a very strong R&D and technical capacity supported by FCAD's platform. The subsidiaries under FCAD Group have accumulated much know-how of different fine chemical branches. For example, Apnoke Scientific Ltd is the expert in amino acid and peptide, Ulcho Biochemical Ltd focuses on carbohydrate and Nucleotide, Caming Pharmaceutical Ltd develops new technology for pharmaceutical chemicals and Warshel Chemical Ltd is the expert of Advanced Materials and Performance Chemicals including Catalysts, Resins, Electronic Chemicals and Agrochemicals. We are constantly upgrading every aspect of our quality systems in terms of staff training, documentation and analytical capabilities to achieve the highest levels possible. The quality of our products is one of our most significant assets. We constantly seek ways to improve our quality systems and welcome any suggestions from our customers or regulatory groups on how to do this. We have the following procedures in our quality systems to monitor the quality of products throughout the whole manufacturing process and even up to inventory. Mature product line ensures of stability of production and many products with different levels of stock or intermediate inventory enable us to meet your needs quickly. Watson understands every provided product's shipment and storage conditions and will use professional packages and labels regularly or per customer's request. Watson International is a global fine chemical company. We offer an extensive range of chemical products to major industries around the world, including pharmaceutical, academic, biotechnology and more. Our product line consists of vital chemicals such as α-amino acids and peptides, monosaccharide, oligosaccharide, glycosyl halide, glycosyl trichloroacetimidate and homogeneous catalyst – to name a few. At Watson International, our qualified technicians are committed to providing the highest level of quality and service in the fine chemical industry. They use state-of-the-art technology to serve the unique needs of a diverse group of clients. From manufacturing to inventory, our staff follows stringent procedures to ensure consistently high quality of products. Moreover, our years of experience and expertise have allowed us to offer competitive prices to industries. If you are looking for a fine chemical manufacturer or distributor, Watson International is your single source for superior quality products, timely delivery and competitive prices. As a fine chemical expert, we deeply understand the importance of transportation. With great emphasis on quality, Watson works with several professional cold chain providers globally to manage shipment from pick up to delivery. Their Industry-leading cold chain services, Global transportation and customs clearance management, Detailed standard operating procedures, State-of-the-art temperature containment and monitoring systems & Highly trained and dedicated operations add great value to Watson's customer service. FINE AND SPECIALTY CHEMICALS FOR VIRTUALLY EVERY INDUSTRY! As one of the leading fine chemical distributors, we have the expertise, experience and capability to blend your formula and safely send it to you. We have the resources to create homogeneous and heterogeneous catalysts, peptides and precious metal catalysts. Watson International is a leading material science products importer. All our products come with our promise of safety, functionality and the absolute best in quality. We are committed to becoming an innovative and sustainable global trading company with a worldwide presence. How extensive or unique your chemical needs maybe, you can depend on us for resourcefulness and timely solutions. Prostaglandin (Bimatoprost, Latanoprost, Travoprost, (+)-Cloprostenol isopropyl ester, etc..
Watson is one of the largest suppliers of Prostaglandin series products globally including several APIs, their intermediates, derivatives and impurities such as Bimatoprost CAS 155206-00-1, Methylamido Dihydro Noralfaprostal CAS 155206-01-2, Latanoprost CAS 130209-82-4(41639-74-1), Travoprost CAS 157283-68-6, (+)-Cloprostenol isopropyl ester CAS 157283-66-4, etc.. many of which were used (as eye drops) to control the progression of glaucoma and in the management of ocular hypertension but now are more and more used to lengthen eyelashes. Watson has been regarded as the exclusive provider of Ferene disodium salt CAS 79551-14-7 by many world-famous Diagnostic Reagent companies. Ferene disodium salt is mainly used as colorimetric reagent for iron, which is more sensitive than other reagents (e.g. Ferrozine), molar absorptivity 35500 liters/mol cm. 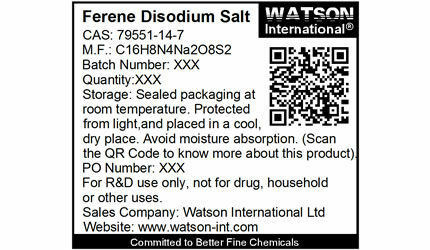 Watson's Ferene disodium salt is famous for its continuous high quality and its stable supply capacity. 10-MDP CAS 85590-00-7 & 4-META CAS 70293-55-9 are now widely used by dental companies globally and Watson has been nearly the only and largest manufacturer of this special material. These two materials usually go together in use and are playing an important role as adhesives no only in dental area but also in other industries. Diethyl fluoromalonate CAS 685-88-1 or Dimethyl fluoromalonate CAS 344-14-9 is the key intermediate for the synthesis of fluoxastrobin. Fluoxastrobin is a leaf-systemic broad-spectrum fungicide from the chem. class of dihydro-dioxazines currently being developed for use mainly in cereal crops. The compound provides both a rapid initial effect and prolonged activity due to its protective and leaf systemic properties. Applied as a foliar spray in cereals, Fluoxastrobin provides excellent control of Septoria leaf spot, Septoria leaf and glume blotch rust, Helminthosporium diseases in wheat and barley as well as scald (Rhynchosporium secalis) and powdery mildew. Furthermore, seed and soil-borne diseases like snow mold and common bunt are also efficiently controlled, when Fluoxastrobin is used as a seed treatment. Mixtures of Fluoxastrobin with selected fungicides, such as prothioconazole often result in an increased biol. activity against these diseases. Fluoxastrobin has a favorable regulatory profile. With more energy-efficient and environment-friendly technology, we effectively avoid the toxic gas brought by the traditional route such as toluene, triethylamine and hydrofluoric acid gas, which would ensure of the stability of supply chain. Besides, our highest purity standard can reach 99% min by GC which is much higher than the unpurified 90% min product in the market. And we usually hold much in stock and can ensure of a 300MT supply each year. Watson is famous for its Organic Photoconductor Materials (OPC) advantages globally, serving nearly all toner cartridge manufactures directly or indirectly. With excellent electrical properties, Watson's OPC materials are usually seen as the industry standard products by customers. The competitive products include TPD CAS 65181-78-4, 4-(2,2-Diphenylethenyl)phenylbis(4-methylphenyl)amine CAS 89114-91-0, 4-Bis(4-methylphenyl)aminobenzaldehyde-1,1-diphenyl-hydrazone CAS 83992-95-4, N,N,N’,N’-Tetra(4-methylphylphenyl)-benzidine CAS 76185-65-4, etc..
FDCA (2,5-Furandicarboxylic acid ) CAS 3238-40-2 and FDME (Dimethyl Furan-2,5-dicarboxylate) CAS 4282-32-0 have a large potential as a replacement for terephthalic acid, a widely used component in various polyesters, such as polyethylene terephthalate (PET) and polybutyleneterephthalate (PBT). PEF is a polymer produced from 2,5-Furandicarboxylic acid (FDCA) or Dimethyl Furan-2,5-dicarboxylate (FDME) monomers. The production of PEF allows utilization of 100% renewable resources. Avantium, a chemical technology company has recently patented a method for production bio-based PEF. Their approach utilizes six carbon sugars such as fructose, to produce furan compounds. Watson can provide Li-ion Battery Materials including Cathode Materials such as LCO, LFP, LMO, LC, NCM, NCA, LiOH, Anode Materials such as Graphene, LTO, Li Material such as LiPO2F2, LiTFSI, LiFSI, LiPF6, LiPF4, LiODFB, LiBOB, Li-ion Battery Electrolytes, Supercapacitor Electrolytes such as TEMABF4, TEABF4, SBPBF4, Fire Retardants such as PFPN, TFP and Electrolyte Additives. We can also suggest or custom manufacture proper products according our customers' requirement. Watson has invented a new chemical synthesis process for manufacturing Halofuginone. Halofuginone is a coccidiostat – a small molecule extracted from a Chinese plant with low purity in the past. The low molecular weight alkaloid is used in veterinary medicine to cure chicken coccidia. Watson's mature products include Halofuginone CAS 55837-20-2, Halofuginone Hydrobromide CAS 17395-31-2(64924-67-0), Halofuginon Lactate CAS 82186-71-8 and the key intermediate 7-Bromo-6-chloro-4-quinazolinone CAS 17518-98-8. 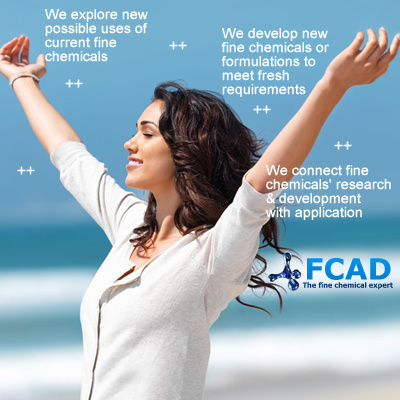 As the parent company, FCAD develops new chemicals or formulations, explore new uses of current formulas to connect chemicals' R&D with application closely. 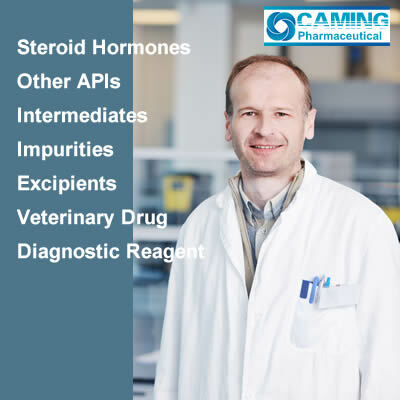 Caming's expertise are on active pharmaceutical ingredients(APIs), pharmaceutical intermediates, impurities, veterinary products and diagnostic reagents. 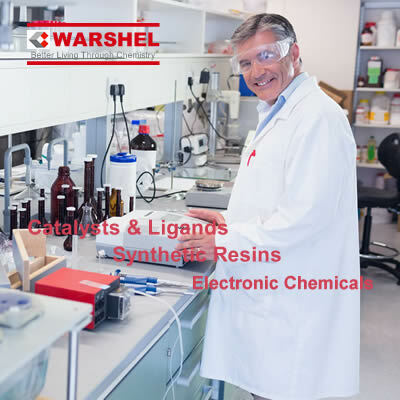 Warshel Chemical Ltd develops Catalysts, Resins, Electronic Chemicals, Agrochemicals and Other Performance Products. Watson Noke Scientific Ltd works on key intermediates and important basic materials as well as coordinate complicated projects across other R&D companies. 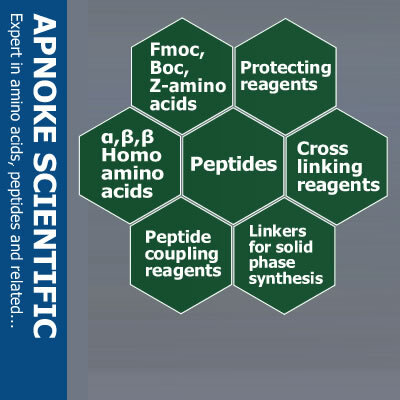 Apnoke Scientific Ltd is the expert of Amino Acids, Peptides, Coupling Reagents, Linkers for Solid Phase Synthesis, Protecting Reagents and Crosslinking Reagents.